High quality stainless steel enclosure specifically designed for offshore use where there is limited space. Typically used for housing communications and monitoring equipment. The large diameter double o-ring seal and bolt set securing the hatch ensures no water ingress. ​Customised to suit mounting requirements and cable entries. Solar Panel Slide mount frame enables the solar panel to be fitted without the requirement for physically bolting the panel in place. The solar panel simply slides into the frame. No more corroded solar panels because of drilling the aluminium outer frame. Mounting brackets not included. These are custom made to suit installation. Please contact Storm Marine for more information. 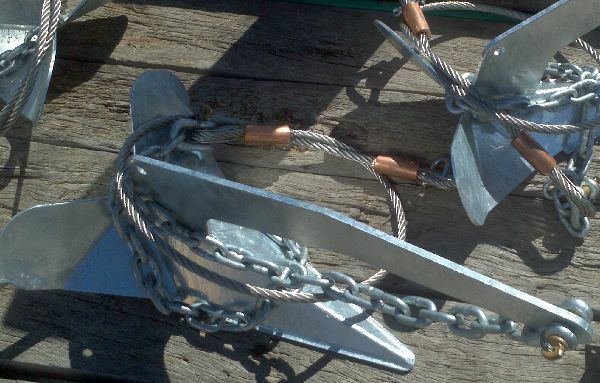 Galvanised steel Stingray Anchor. 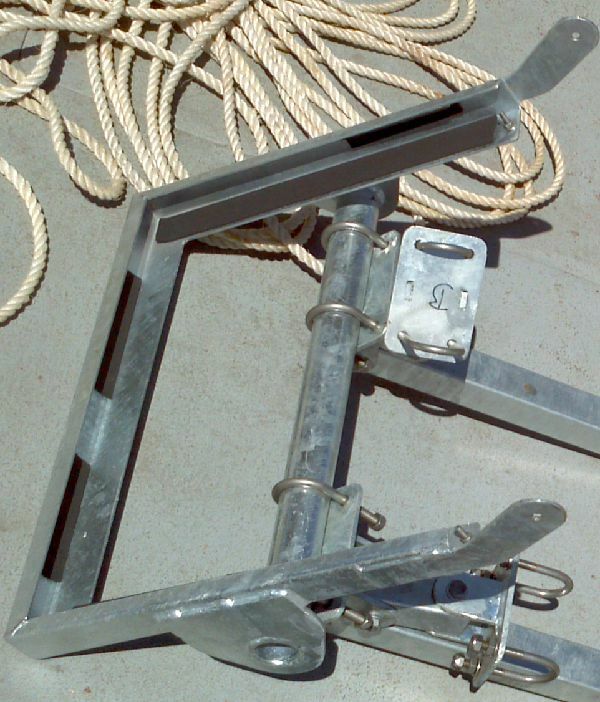 Similar to a plow anchor and found to be extremely effective when used in sandy seabeds. 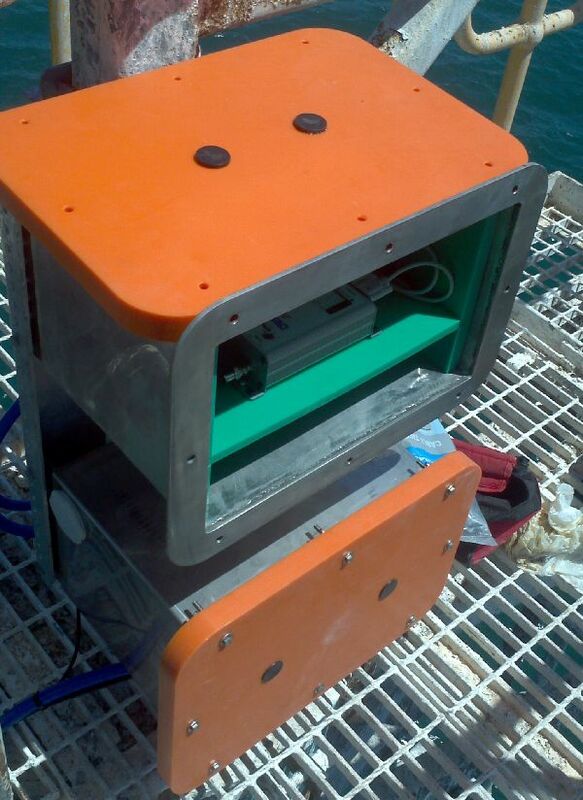 ​Proven to hold fast oceanographic instruments through Cat 4 cyclones. Perfect for oceanographic moorings but can also be effective for medium sized vessels and moorings. 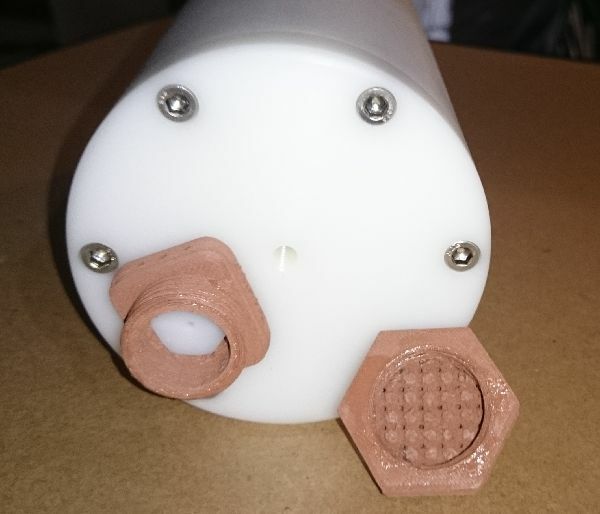 A custom designed pressure port filter 3D printed from PLA/Copper functions as an antifouling cap for oceanographic instruments. The Digi Cap version is specifically for the DIgiquartz pressure sensor. The Port filter comes in two parts. The first part is the base which attaches to the port with the sensor's existing inlet bolt. The second part (the main filter) screws onto the base. Proven effective in harsh ocean environments. Underwater connectors work well and last a long time if treated properly and protected from knocks and marine growth, but they are prone to failure and in some cases can cause further damage to the equipment they used with. Protect your underwater asset by protecting the vital underwater connectors. 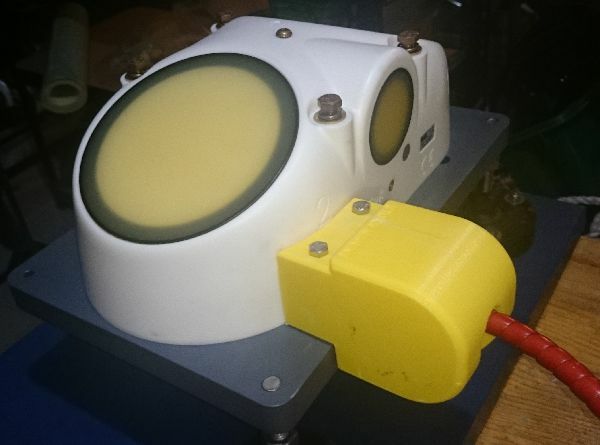 The Storm Defender is a custom 3D printed covering that is fitted over the underwater connector rigidly and becomes the first line of defense against knocks, bumps, marine fouling and creatures. Once fitted, the remaining gap between the underwater cable/connector can be packed with silicone grease and/or denso grease tape. The combined treatment excludes water and fouling from the connector, giving it plenty of protection. Designed specifically for applications in a marine environment where a cable needs to be run along a large structure (eg. RSJ, beam or girder) that cannot be physically modified (no holes). The Clippy is secured to the girder under compression with a stainless steel bolt and the cable secures to the Clippy. Clippy is particularly useful when attaching to very thick objects. 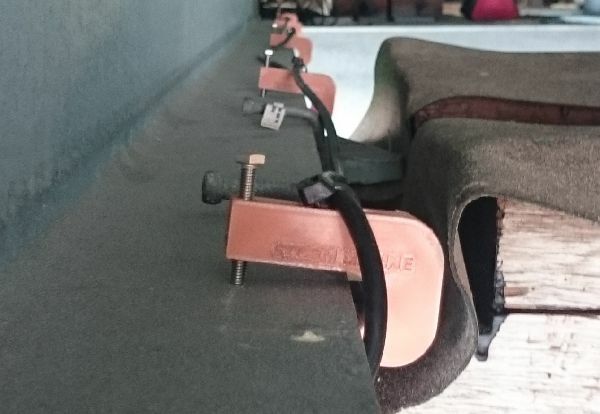 The standard Clippy can be attached to steel plate up to 20mm thick. Custom Clippys can be designed and 3D printed very inexpensively for use on virtually any thickness material. Clippy is not the smallest fastening device, but it is a simple and effective solution. 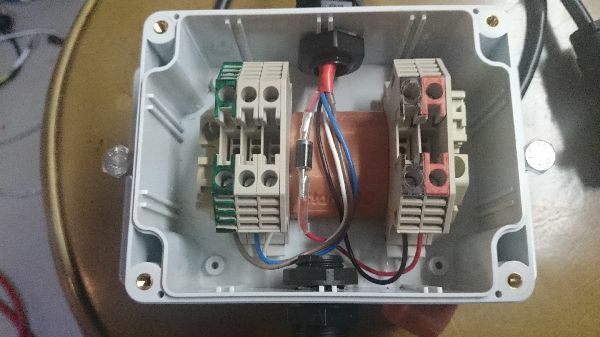 Low profile DIN rail mounted DB9 connector. Eliminate those dangling cables and connectors in your installation. 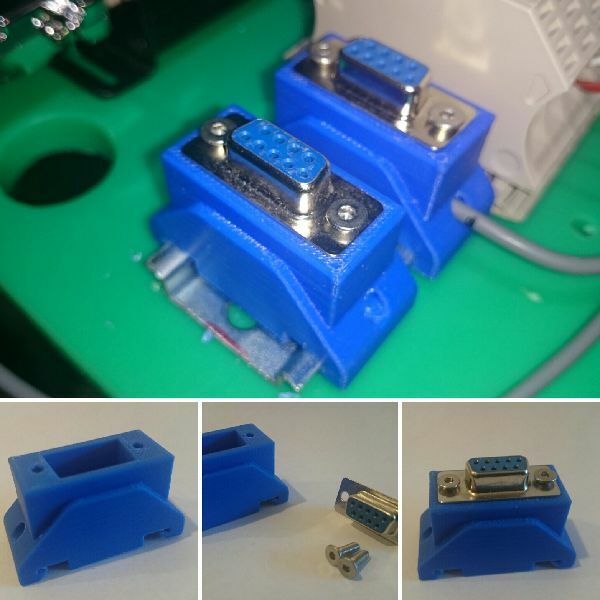 Connector kit comes with DIN rail connector housing, male or female DB9 connector and fasteners. Advise cable diameter on order. An inexpensive assembly allowing multiple cables to enter into an equipment housing without the need for multiple individual cable glands. 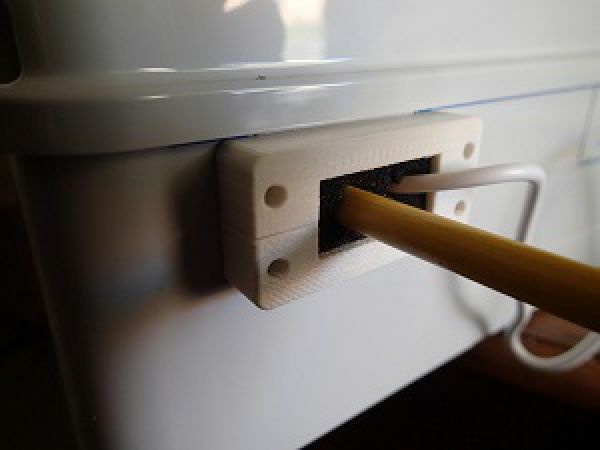 The key benefit is that the cables do not need to be pulled through a hole to be removed from the housing, which is often a headache when the cables are terminated to connectors. Made for thin wall plastic housings. The gland is not designed to be water proof but does repel incidental splashes of water and airborne dust. One standard size available, however custom sizes can be produced inexpensively. Ever spliced a cable together and found it impossible to separate the wires effectively and neatly before encapsulating or moulding. Ever tried to do a legitimate Western Union Splice on a multicore cable. Difficult isn't it. The Western Union Splice Cable Spacer enables a quality Western Union Splice to be assembled on a multicore cable whilst keeping each conductor apart. Once spliced, the whole assembly can be moulded, coated or covered without the worry of indicental wire shorts occuring. 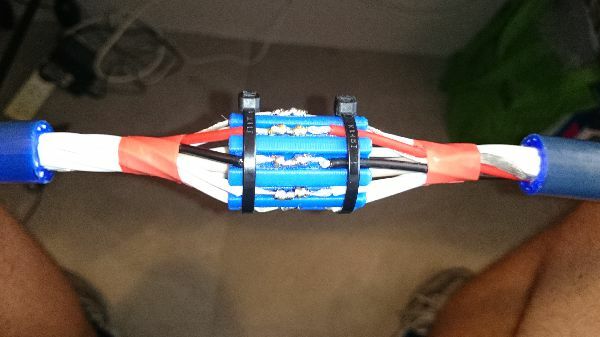 The Cable Spacer is a custom product, designed specifically for the cable you are splicing. Contact Storm Marine for further information. Neaten up your terminal strips by adding low profile spacers in between terminal sets. Standard sizes available include 10, 20, 30, 40 & 50mm width. Custom sizes upon request. Copyright (c) 2016 Storm Marine.